Did you know that less than 40,000 computer science graduates were available to fill the demand of 500,000 computing jobs in 2015? The talent mismatch left hundreds of thousands of jobs unfilled, according to joint research study with Accenture and Girls Who Code. And that’s only in one industry. Jennifer Carpenter is the Global Head of Talent Acquisition at Accenture. Her love of testing new ideas and expertise in strategic talent management led to the strategy that enables Accenture to discover and attract tens of thousands of new employees across 55 countries to Accenture each year. 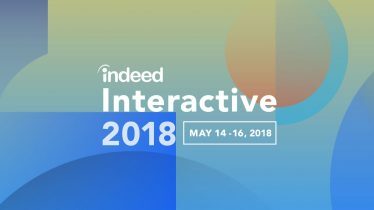 Jennifer will present the breakout session “Harnessing Human Potential to Create the Future Workforce” during Indeed Interactive in May 2017. The session will impart to talent leaders how they can leverage technology to elevate, rather than eliminate, an existing workforce. A skillset mismatch can mean more than a lack of knowledge about how to perform specific job tasks. Other traits including creativity, critical thinking, empathy, leadership, flexibility and adaptability are equally important when it comes to success: both for employees and the organizations they work for. The stakes are high, not only for businesses, but also for workers and society as a whole. People with the ability to adapt, learn and grow are those who will drive the workforce ahead. These workers will flourish in the future workplace, one that’s augmented by new technologies that promote labor productivity, talent acquisition and retention, along with innovation and creativity. The good news? Leaders can start today, building on a workforce that’s already highly engaged with digital, to shape tomorrow’s definitions of employment. Here’s how it can be done. Businesses of all sizes, in all industries, should prioritize investment in their most valuable resource: employees. With technology evolving rapidly, skills in high demand only a decade or two ago may be less relevant or even obsolete today. To stay ahead of the curve, employers need to look forward, considering which of today’s skills may sunset over the next several years while reskilling workers to transition into emerging positions. Employers can reskill at scale with digital technology, and personalize training to suit different learning styles by using intelligent software. Everyone—from CEO to intern—can benefit from knowledge that will elevate them professionally. Just like anything else you can think of, talent pools are evolving. Increasingly, workers are less interested in being employed in permanent, full-time positions. Instead, workers are looking at the possibility of self-employment or freelance work. According to the research study, experts see this shift happening already, estimating that 44% of the workforce will comprise independent contractors or temporary workers by 2018.
Business leaders must ensure that their people are relevant and adaptable. Buyers and workers alike are increasingly savvy when it comes to what they choose to buy, and where they choose to work. In today’s hypercompetitive environment, the demand for skills has shifted to emphasize uniquely human skills, like creativity, flexibility, critical thinking, leadership, adaptability and empathy. So business leaders must consider how to make their companies the hottest place in town to work in order to attract highly marketable talent. One strategy to consider is creating a more adaptive workplace. People are looking for less structured roles and more gig- or project-based work. In fact, 79% of executives predict that the workforce of the future will focus on collaborative teams achieving joint goals, rather than the more static job roles of the past. Empowering existing employees to take charge of their professional destinies not only improves company morale by demonstrating your investment in your collective future, but also saves ramp-up time. An employee who already understands how your business is run can more easily transition into a position that required reskilling than a fresh hire. The most progressive organizations will facilitate access to training in snackable sizes, enabling employees to learn the skills they need in real time. They will create virtual and physical networks to build communities, announce new roles and projects and generate feedback. And, these forward-thinking businesses will create a culture that empowers and encourages more experienced employees to mentor new talent. Register now and join us for three days of education, inspiration and networking with talent acquisition leaders and practitioners across a wide variety of industries.